Visitors to the Phoenix were invited to collaborate in making the work. Using as a starting point elements and concepts from for example Patrick Irelands Rope Drawings, Fred Sandbacks Untitled works using acrylic yarn and Mel Bochners Measurement: Room, tape and Letraset on wall. ‘… less a thing-in –itself. More of a diffuse interface between myself, my environment, and others peopling that environment, built on thin lines that left enough room to move through and around. Still sculpture, though less dense, with an ambivalence between exterior and interior. 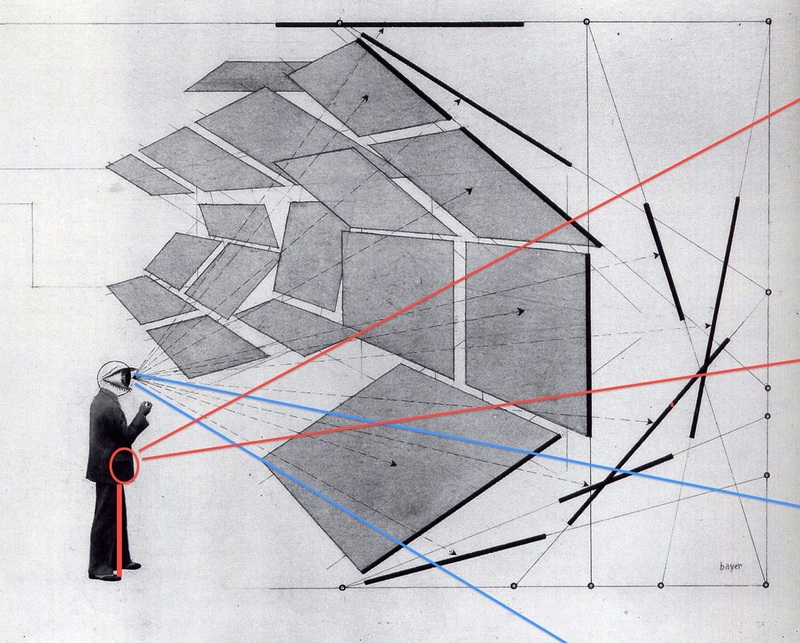 A drawing that is habitable’ – ‘Untitled’ Fred Sandback. Vaduz: Kuntsmuseum Liechtenstein, 2005. Below is text relating to the above artworks, written for research. If it’s a bit on the wordy side for you and you want to ask a question drop me a line via the contacts page. One part of my practice is motivated and inflected by a concern for how visual arts practice is constrained by normative conceptions of human bodies – conceptions that are integral to the ways in which art is made, discussed, understood and assumed to be experienced. The concept of the ‘autonomous object’ on a plinth in a white gallery space was challenged by new arts practices during the sixties. Against the backdrop of developing civil and human rights movements they challenged the way in which arts meaning was constructed and maintained though culture and economy and undermined the paradigm of arts and art institutions’ autonomy. Documentation of site-related work of the late 1960s and early ’70s suggests that there has been little, if any acknowledgement of how normative values assigned to bodies have impacted on the creative practices of artists across the spectrum of physical body types. Works were invariably made and marketed with ‘human scale’ in mind, but whose human scale? Whose bodies was it assumed were negotiating, navigating and experiencing the works and the sites they were located in? Artists, writers and thinkers with disabilities were not privy to this critical and cultural debate for a variety of reasons. Still widespread is the siting and installations of pieces in relation to normative dimensions of human scale. Practice investigates these assumptions; work provides a way in to think critically about physical bodies in space. It does not confront normative environments or cultural attitudes with their downfalls in relation to ‘disabled’ versus ‘able bodied’ but begins to reveal interesting opportunities through the problematising of issues of architecture, environment, installation and perception and nurtures dialogue that does not start or end in polarised territories. Investigations take a less essential and more universal approach when dealing with the construct of normality and constructed identities (yours, mine, ours, artists and audiences.) suggesting that identities are fluid and that their essentialism is in doubt when confronted with varying frames of physical, cultural, political and social contexts. The aim to remove inherent signifiers and autobiographical dichotomies, further attempts to upset paradigms, problematise and reframe in the presence of the unfamiliar. One advantage in using these materials is that, if appropriate, I am able to manipulate and construct on a variety of scales with self-sufficient autonomy. For example, through repeated small scale motifs or components or by using light weight low tech materials. An outcome of that is that inherent in the making installing and aesthetic of work are elements of my own physical identity. This pragmatic approach to my work is married with a theoretical conceptual process which inflects making and via versa. Rather than reducing work to a dry intellectual exercise though, it seeks to create something experientially bigger than the sum of its parts without a heavy hand, a space for open, generous dialogue and reflection.